You are probably looking for a New Jersey house painting contractor if you are reading this page right now. And of course, we would like you to consider our company and give us a chance to bid on your project. But even more than that we would like to see you make the best choice when it comes to deciding which painter to hire (mismatches are not good for anyone). We don't try to be all things to all people, that's why please take a few minutes to learn more about us - that will help you decide if we are the right painting company for you. You probably don't know it, but in the painting industry (at least in New Jersey) house painting is considered the most demanding and challenging area to work in. It's because compared to other sectors, residential painting requires the highest level of customer service and very specialized trade skills. That is why we prefer not to spread ourselves thin (by going after commercial or industrial projects in addition to residential ones), but instead focus on custom painting - better serving South Jersey homeowners, and improving and perfecting our skills for this sector. Having experienced being homeowners for many years, we think we can relate to your needs, expectations and concerns when it comes to choosing a contractor. We make it a point to be on time and on schedule, we stick to deadlines, show up for appointments and return phone calls right away. Initial caution and skepticism are natural, thats why we are happy to offer you a list of local references - our past customers who you can call and ask about their experience with our company. We also have a binder full of testimonials and before and after pictures (our completed New Jersey house painting projects) that you can look through to get an idea of our work. Memories can fail, thats why for your protection and peace of mind we provide detailed written estimates for all projects (including price, scope of work, start and finish dates, etc...) and put all agreements on paper. That greatly reduces any chance for misunderstanding and disappointment. No one likes to be kept in the dark, so from our initial contact until the end of your project, we keep you updated on the work progress - you will know exactly what is going on and what is going to happen next. We quickly react to any questions or concerns you may have and there is always a live person to talk to every time you call. 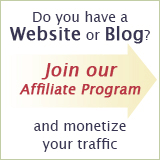 We all want to get our money's worth of value, but in our company we try to give our customers even more. 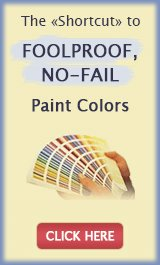 We continuously educate ourselves on the best methods and techniques in our trade and use checklists to monitor quality on every painting project. We stay on top of industry news and use only the best products and latest equipment in our work. Our state-of-the-art painting and surface preparation equipment allows us to speed up production, cut costs and pass those savings on to you. All remodeling projects are tiring and can be messy. House painting is no exception, but we always do our best to minimize the inconvenience. We are careful with your property; we keep the staging area organized and use protective covers on the furniture and floors. We finish the job by putting everything back in place, and for interior projects we include a wet cleaning of the working area. Finally, we work fast and in consecutive days so you can get on with your life as soon as possible. 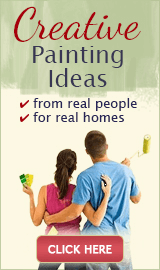 Hiring New Jersey house painting contractors often means having to invite strangers in your home. With us, you never have to worry about the possibility of a drug user or someone with a criminal background showing up at your doorstep. We also carry a workers compensation and liability insurance, and comply with all the laws in New Jersey. House painting can be a dangerous project, but our coverage ensures that you and your property are protected at all times. Any product or service is only as good as its guarantee. With us, no project is complete until we do a final walk-through with you and make sure that you are happy with the results. We love what we do and back up all our work with a written 2 years warranty: your new paint job is guaranteed not to fail or we will come and correct it free of charge. And, since we offer this guarantee, we prefer to do the job right the first time. 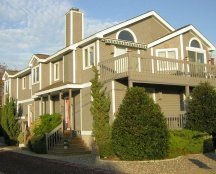 We are a well established and financially sound New Jersey house painting company, so you can rest assured that we'll still be around when you need us.